Of the UK’s North Sea energy deposits, 96 percent of oil and 47 percent of gas production are in Scottish waters, according to geographic studies by the University of Aberdeen. Since oil production came on line in the 1970s, the UK has pumped two thirds of the North Sea oil reserves and pocketed over $500 billion in taxes with only $49 billion being allocated to Scotland. An independent Scotland would be energy independent and immediately generate about $17,217 in tax revenue for every Scottish family of four. North Sea oil was first discovered in commercially viable quantities in 1969 and began production in 1976. UK Labour Prime Minister Jim Callaghan called North Sea oil as “God’s gift” to the British economy. Production still supplies 67 percent of the UK’s oil demand and 53 percent of the country’s gas requirements. But despite pumping about 42 billion barrels of oil, the UK government spent all $530 billion in North Sea tax revenue and ran up an additional $2 trillion in debt. The UK’s current budget gap is a negative $130 billion, despite $1.0 trillion in tax collections. Scotland with 8.2 percent of UK population generates about 8.2 percent of the UK’s non-North Sea taxes. According to UK official statistics, North Sea tax collections were about $9.7 billion last year and have averaged about $10 billion a year over the last decade. In supposed recognition for its energy contribution to the UK economy, Scotland is allocated 9.1 percent of the UK’s per capita government spending, or about an extra $14.3 billion a year. According to official government figures, Scotland currently operates with a deficit of $22 billion or about 11.2 percent of its GDP, excluding North Sea revenue. If Scotland was to receive its geographical share of North Sea revenue, the deficit would officially still be $13.7 billion or 5.9 percent of GDP. 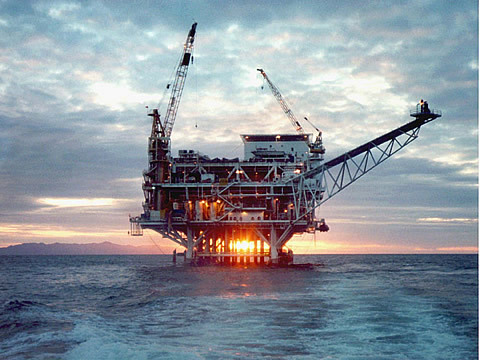 But according to the accounting firm of PricewaterhouseCoopers: “The oil and gas sector is the UK’s largest corporation tax payer, contributing 16.4 percent of total Government corporation tax receipts – more than many other significant industries combined.” PWC’s analysis shows that “the industry’s contribution to UK tax revenues extends far beyond the taxes North Sea firms pay themselves. The industry employs 450,000 people across the UK and paid $10.4 billion in taxes to the UK government. “Including taxes they collect – such as employee taxes and for those with a downstream business, fuel duties,” PWC estimates that the “Total Tax Contribution” from oil and gas equals $46.7 billion, or 5.5 percent of total UK tax revenues. Given that the oil and gas industry supports 220,000 jobs in Scotland, an independent Scottish nation would appear to pick up about $22.9 billion from the industry. That amounts to $4,304 per person or $17,217 per family of four. In the last decade, UK oil and gas revenues have varied up or down by an average of 35 percent each year due to the sharp fluctuations in wholesale cost of oil and gas, according to the UK Office for Budget Responsibility (OBR). Oil and Gas UK, the industry body, estimated that North Sea oil production will remain active beyond 2050 and that amount of un-extracted oil is estimated to be between 15 to 24 billion barrels. But analysts at N-56 predict that the recent UK approval of hydraulic fracking will increase reserve calculations to 36 to 50 billion barrels of oil. According to Scottish First Minister Alex Salmond, an independent Scotland could set up an oil reserve trust fund to smooth the volatility of energy tax receipts similar to Norway’s Stabilization Fund and Savings Fund. Both Norway and Scotland have a population of about 5 million. But Norway since 1990 has saved about $156,378 for every citizen in the nation. After polls showed that the yes vote on the September 17th referendum for Scottish independence was winning last week, UK Chancellor of the Exchequer George Osborne said Britain will offer Scotland more autonomy over taxes, spending and social issues. Pro-independence officials rejected the offer, calling it a bribe according to Stratfor Global Intelligence Service. If the Scots vote for their independence they will have to absorb some percentage of the UK debt and decide if they want their currency to be the British pound, European Union euro or mint their own. But being energy independent and with an enormous and potentially expanding public cash flow from the North Sea sounds very compelling.